There is a macro shift from revival to reformation happening now. The concept of getting saved and serving others for the rest of your life on earth doesn’t tap the real calling to a mountain that rests in our hearts. About 75% of young professionals are not fulfilled in their well-paying jobs. Both have “life,” neither have abundant life. God is stirring the desires in the hearts of His people… to disciple nations. This shift is global, yet personal, just as the Kingdom touches nations, yet is within our hearts. It’s easy to criticize institutions (secular and religious) – both are struggling to adopt Kingdom values. However, the simplest transition you and I can make is in our own hearts. 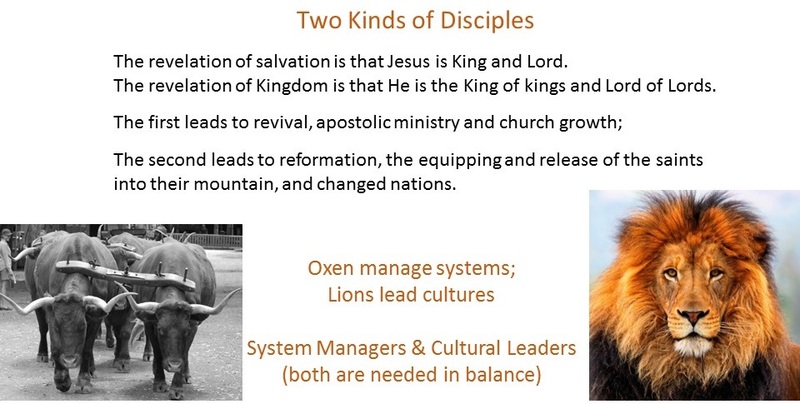 Instead of oxen plodding through life filling the script of those we work for, we can choose to become like the lion of the tribe of Judah and operate out of the desires of our own hearts. We can choose to be creative, pursue our dreams, and create the wealth to make it happen. The reformation of Calvin and Luther gave us access to the presence of God. This reformation is an invitation to co-labor with the Father and play our role in building the Kingdom. Multiple plans – Relating to Jesus as the Lord of Lords and King of Kings is a huge shift. Instead of servants waiting to be told what to do, God is waiting on us to tell Him what we would like to do. He doesn’t just have one plan all scripted out. It’s plans plural! It’s a general direction with many ways to get there. Our Father is longing for disciples who will graduate from passive obedience and ox-like sacrifice to recognizing the desires of their own hearts. 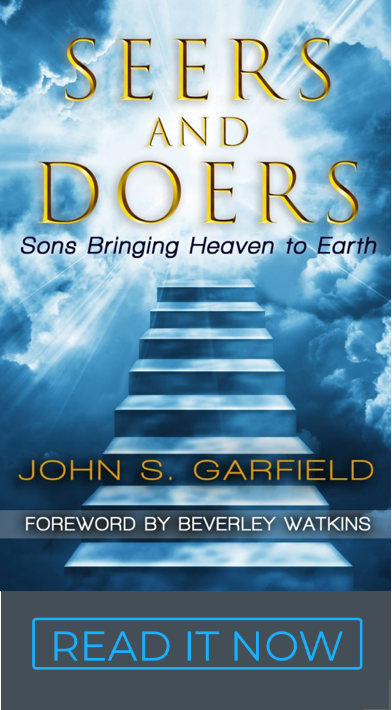 We were designed to operate out of the desires of our hearts – God wrote them there. It’s an invitation to a party… an abundant life. A spirit of fear – Each or our hearts have good reasons for not being bold and courageous like lions. We have all tasted defeats and seen our personal initiatives shipwreck. We’ve all made a vow to be more careful. Absent any adjustments, it’s the perfect logic to live our lives as oxen… survival until retirement. God is not ignorant of our trials, our struggles and our failures. He even knows our fears. The entire package is what shapes our character and life message. God doesn’t cause these disappointments but he does redeem them into a life that makes sense. Lions get that. They have the scars to prove it. Welcome to warfare! Talk to him – The wisdom of Kingdom is to have the conversation about your dreams with your Father. He wants to play His role to add divine appointments, open doors in the spirit, and confirm His word with signs following. He wants you to play your role to dream, initiate the conversation and make the plan and all the mid-course corrections that go with it. It might seem safer to be an ox; it’s just boring and far under abundance. Servants still go to heaven, but the journey hides their hearts and their potential. Lions love. They choose life and adventure because they don’t interpret their failures as punishment. They know their Father loves them, will resurrect them and choose them again for something great. They are not afraid to pursue God and His Kingdom with all of their heart. They trust, they dream, they rise again.